Hey everyone! This post has been a long time coming and I'm really excited about it. 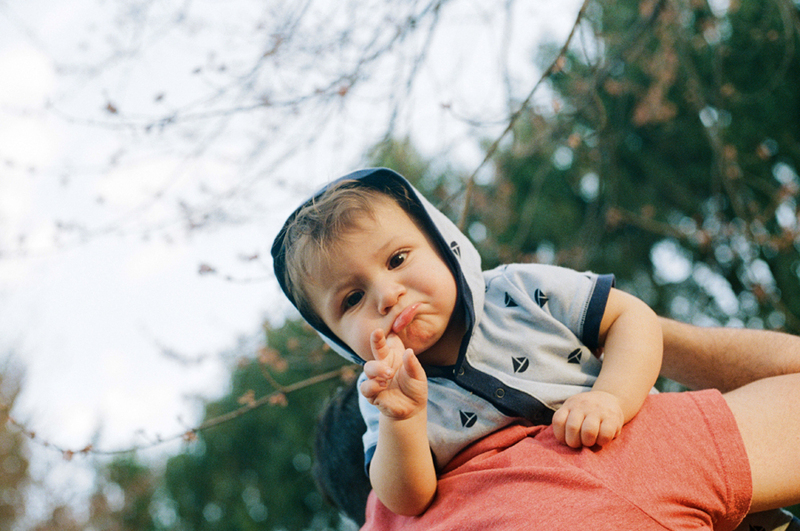 I'm finally ready to announce that I'm a film only shooter and focusing solely (for the time being anyway) on photographing families and kids. I know I've made mention here or there about this over the past year, but I thought it would be a good idea to make it official. A lot of people have asked me why film? And there are so many reasons why for me. But it really comes down to the little journey I went on over the past year that I thought I would share. Almost exactly a year ago I gave birth to the cutest little guy in town, Oliver. Having both of my children has been the best thing that has ever happened to me (besides marrying Bean), but I wasn't prepared for this past year. Oliver was colicky. Like, legit colicky. Like walking in circles for hours shushing and rocking only to have him scream and scream forever colicky. If you've ever hung out with or had a baby you couldn't soothe, you know it can really get to you after a while. On top of that I didn't give myself much of a maternity leave (yay 1 week!) and I lost a close loved one the month before Oliver was born to pancreatic cancer. I only had about 2 days of baby blues with Finley, so when the baby blues with Oliver weren't going away, I was a little worried but so consumed with trying to deal with Oliver that I didn't give it much attention. During this time I became really disenchanted with photography, or at least my photography. The only time I liked shooting was when I would take out the medium format camera a friend let me borrow. I loved how it slowed me down and made me be more deliberate and connected to what I was shooting. It was so different and I really liked the imperfectness of the results. It feels more authentic. After about 7 months of denying it because I was embarrassed and determined to just "get over it" on my own, my husband sat me down and told me I had postpartum depression. I knew it, but I was stubborn. ;) Eventually he convinced me to go to my doctor and we developed a plan to get me back to normal. Part of that plan was embracing things that made me happy, and shooting film was a big part of that. So I made the decision then and there that I was going to just shoot film. Since then I've been working on making the transition to film with my business and am happy that today is the day that I'm ready to make it official! YAY!! So that's all. I shoot film now. Oh, and Oliver's all better too by the way. 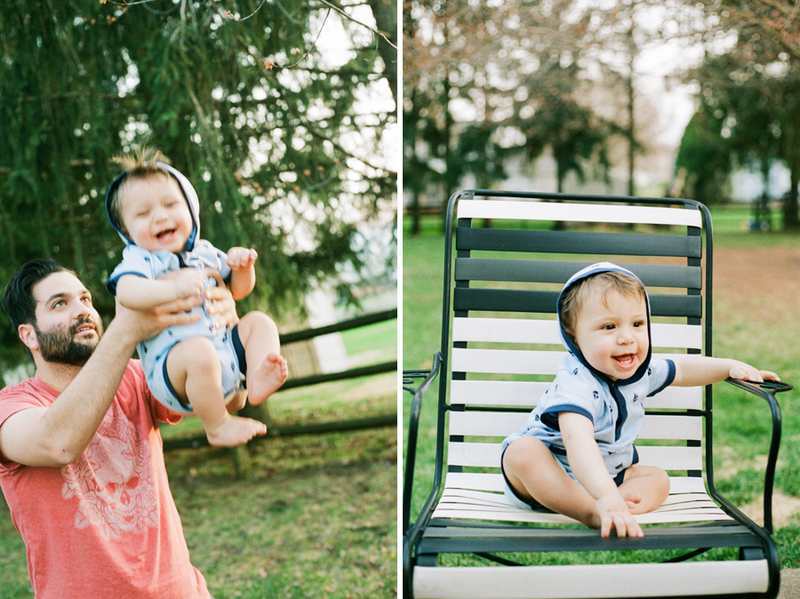 In fact, here are some pictures I recently took of the little stinka (processed and scanned by the amazing State Film Lab) who funnily enough is the happiest baby in the world now. I still can't believe this guy turns 1 next week! !